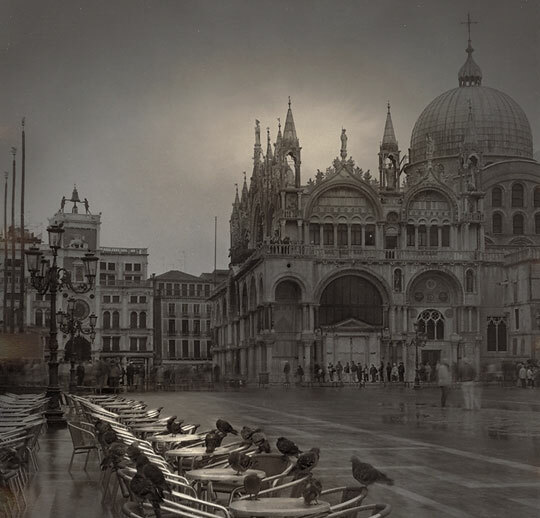 The photographs of Alexey Titarenko, a Russian-American artist born in 1962, reimagine timelessness. Instead of seizing a (frivolous, superficial) moment, Titarenko’s work embraces a span of time, allowing the viewer to become captivated by the poetic mystery, the meditative sensuality of one of his beloved cities. 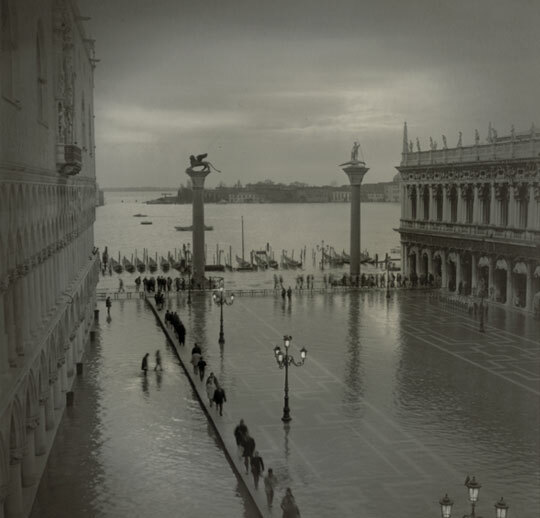 These images were taken between 2001 and 2008; while they resemble pictorialist photographs from the late 19th and early 20th centuries, they feel completely modern and fresh. Titarenko’s work has received numerous awards, resides in the collections of major European and American museums, and has been the subject of a French-German Channel Arte documentary entitled, "Alexey Titarenko: Art et la Manière." Titarenko is represented by the Nailya Alexander Gallery in New York City.